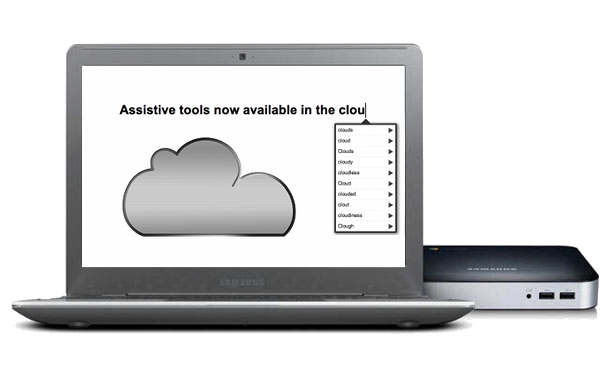 AppWriter Cloud for Google Docs has been out for a few months within the Chrome Store for educational institutions. LingApps, developer of AppWriter Cloud currently has a private edition for Google Chrome available through their LingApps website at a cost of USD 19.99. A visit to their website offers a month trial for free! What features does AppWriter Cloud provide? AppWriter Cloud is one of the only Google word prediction apps that I am aware of for Google Docs. Trial of AppWriter Cloud provided support for students needing word prediction to support their writing tasks. Interested in more information? Visit the LingApps website for costs and more details on their Appwriter Cloud apps for Google Chrome for schools and the Private Edition. Also check out their iPad app AppWriter with OCR scanning capabilities, word prediction and text to speech. Updates to their current version of AppWriter provides a great method of scanning in text with accurate OCR conversion from within their app along with text to speech, change of background and highlighted text color options and high quality voices. Many improvements have been made to their app. Having worked with all of the apps, including Google Chrome AppWriter, all apps work solidly and provide tools that are easy to use for students of all ages. I love the fact that the Google AppWriter Cloud, when installed at school is available to students through their school account at home when Chrome is on their home computer! Now if AppWriter Cloud could be integrated into Gmail, on the Google Browser or Presentation wouldn’t we be excited? Regarding the folks at Ling Apps – I can also attest that the folks at LingApps are highly responsive, patient and helpful with all kinds of questions! After riddling them with questions about installation into Google at school, they still answered by questions and responded promptly to me! I really appreciated their support with getting the app going in our schools with our tech department. Using these apps at school has provided additional tools for students at home, at school within Google Chrome and on demand on mobile devices such as the iPad. This entry was posted in Adults with LD, App Reviews, Apps for OT's, Apps for Special Needs, Google Chrome, Google Docs, iPad, iPhone, Learning Disability, Occupational Therapy, OCR, Reading, Special education, Word Prediction, Writing and tagged App Review, iPad, iPhone, occupational therapy, OT Apps, Reading, special education, Word Prediction, Writing. Bookmark the permalink.